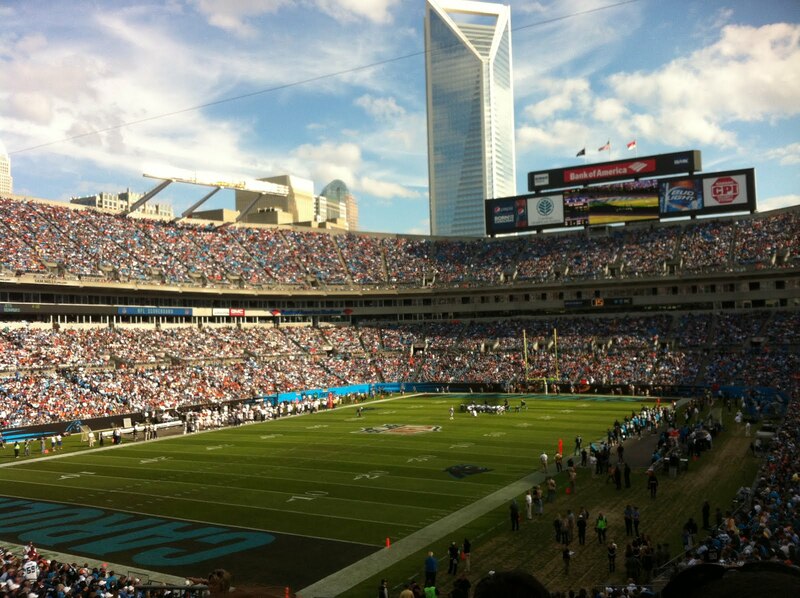 Went to the Panthers vs. Broncos game today because I was attracted to my wife's football knowledge while growing up (she could name the 90s Broncos Offensive Lineman, and being a center for 13 years it was attractive that she knew who really were the key players). So the security line into Panthers stadium was so convoluted and packed it took us 40 minutes to get through an I missed the Panthers opening TD. I did get to witness a young woman faint right in front of me and collapse to the ground. But after a minute she popped up not wanting medical attention because she knew it would take her even longer to get through that line (seriously Panthers y'all need to fix that). I did make it on the Jumbotron, but it wasn't the kiss cam–which is probably good cause the guy next to me was burly.